Lots of activity in August! Come out and enjoy the excitement at our regular events, plus four opportunities to meet with Virginia Democrats and Candidates! Rick Boucher will be back for three events in the Ninth in August! Events are listed below. Families and workers, as well as businesses in Tennessee and in Virginia are being hurt by GOP policies, and voters are responding. Check your calendar, check your voter registration, and make sure your vote counts in the November General Election 2018. Election Day is November 6th, 2018. Virginia does not have early voting, but in Virginia you can vote absentee if you will be out of town on Election Day, or if you are for some reason unable to get to the polls. Please respond to this newsletter if you need information about voting absentee in Bristol Virginia. Bristol Virginia has two strong Democrats on the ballot, Tim Kaine for Senate and Anthony Flaccavento for Congress. Anthony will hold a Town Hall meeting in Bristol on Monday, August 6th, at 6:30 to 8:00 p.m. at Warehouse 817 Event Space, 817 State Street. Don’t miss this important opportunity, included in the event listing below. 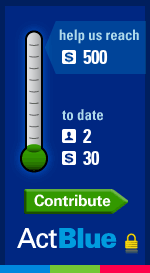 Be sure to check in on both candidate web pages, linked above, and let them know you are behind them by adding your name to the volunteer list and making a contribution. If you need a yard sign for the candidates,request one by reply to this e-mail. We have a few signs for Anthony, and we will be getting signs for Tim soon. You can also pick up signs at the Highlands Democratic Resource Center. The Resource Center is an initiative to help surrounding County Committees and Candidates with organizing and is located at 407 E. Main St., Abingdon. Monday, August 6: Bristol Town Hall with Anthony Flaccavento, Candidate for Virginia Ninth District Congressional Representative, at 6:30 to 8:00 p.m., Warehouse 817 Event Space, 817 State Street, Bristol, VA. Come and get to know Anthony and his vision for Southwest Virginia. Share your concerns and ideas for your community. Make your voice heard. I have attended two of Anthony’s Town Hall events, and he provides plenty of time for interaction, questions and comments from folks who attend.Don’t miss this opportunity in Bristol! Sunday, August 26: Acres of Democrats at 1:00 p.m. to 4:00 p.m. at the Wytheville Meeting Center, 333 Community Blvd, Wytheville, VA 24382. See you somewhere in August!